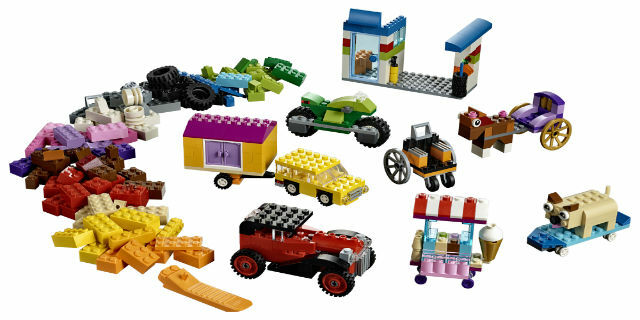 LEGO 60th Anniversary Limited Edition Classic Brick Set Only $20.00 + FREE Pickup! Calling all LEGO fans and collectors! Wohoo! Head to Walmart.com and purchase this LEGO 60th Anniversary Limited Edition Classic Brick Set for just $20.00! Plus, you can choose FREE in-store pickup to save on shipping costs. Hurry and grab this deal before this product sells out. Put your LEGO creations on wheels with this exciting LEGO Classic toy, featuring a wide selection of wheels and tires in a variety of colors and sizes, plus a colorful selection of LEGO pieces, including bricks, shapes and eyes. This set makes a great addition to existing LEGO sets and includes age-appropriate building instructions that will help your child discover their creative building skills. Be sure to bookmark this page for potential price drops and deals on this Lego set! Calling all readers! Head to Walmart and purchase this 60th Anniversary Limited Edition Classic Brick Set for just $20.00! Isn’t that great?! This Lego set features a wide selection of LEGO wheels, plus a mix of bright and colorful LEGO bricks and special pieces, including shapes and eyes. You will not want to miss out on this great savings opportunity! I love these classic Lego products and you will too! Let us know what online deals you’ve found lately, because we love to hear from our readers! 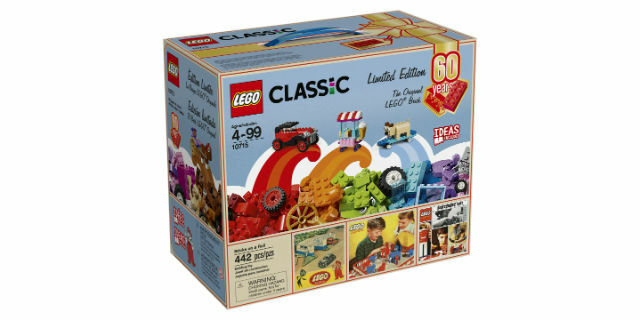 **Buy this 60th Anniversary Limited Edition Classic Brick Set for just $20.00! Previous articleThe Original Duck Boot Only $27.99! REG $70! Next articleNew Arizona Boots, as Low as $15.99!